We offer 24/7 Emergency plumbing services in the Penshurst area. When you choose ADKO Plumbing, you're choosing a company that is honest and reliable with upfront pricing and free quotes to all our clients. Being a small business, we pride ourselves on customer satisfaction and excellent customer service. We always have emergency plumbers with fully stocked vehicles in Penshurst, so you know we won't be far away when you call! Do you have Plumbing Issues in Penshurst? Look no further. ADKO is your go to emergency plumber in Penshurst. ADKO Plumbing Penshurst is a locally owned, family run business. We pride ourselves on excellent customer service with the highest quality finishes. We know how hard it is to find a reliable and honest plumber in Penshurst, we’re here to help 24 hours a day, 7 days a week. 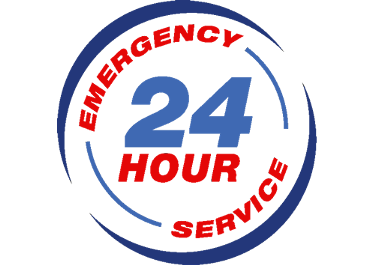 ADKO offers 24 hour emergency plumbing services in the Penshurst area. We are available 24 hours a day and offer free quotes to all our clients. If you’re looking for an emergency plumber in Penshurst that is highly recommended, offers great customer service and honest pricing, look no further. We offer all types of plumbing services, from blocked drains, hot water systems, hot water heaters, gas fitting, commercial plumbing, water leak detection, bathroom plumbing and anything in between. No job is too big or too small for the ADKO team. Our vehicles are fully equipped with all the top of the line equipment you would expect from a high quality plumber. Being local to Penshurst, We can offer same day service, 24 hours a day, 7 days a week. 50+ Five Star Reviews Can't Be Wrong! 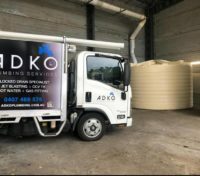 ADKO Plumbing has played an important part in our business. being in the property services industry it is crucial for us to have team that are fast, efficient and most importantly great at what they do. we have used ADKO Plumbing on dozens of jobs without a single concern raised, always keeping you in the loop. if you are after a plumbing company that can provide you with an end to end service I would highly recommend ADKO Plumbing!! Excellent service, arrived at the exact booked time, fixed the issue without any hassle. Friendly service, will use again and recommend to friends and family. Thanks again ! Great company! I spoke to Daniel from Adko and he was so helpful. His team came to our house the same day to fix a blockage we had in the backyard. Highly recommended. Thanks again guys! Gabriel and Adrian were very friendly and helped our family with all the issues and concerns we had. They were able to give us a very generous price, considering how quickly and efficiently they managed to get the job done on the same day.I highly recommend using their amazing services! A excellent plumber to deal with. Quick call out, courteous and diagnosed a complex problem quickly. Highly recommended. I have been using ADKO for many years now and they are always so responsive and helpful.Nothing is beyond their capabilities.Their integrity, customer service and abilities are commendable.I highly recommend Adam and Daniel and their team! Fantastic service from a fantastic company. Unrivalled quality workmanship and dedication to their trade. 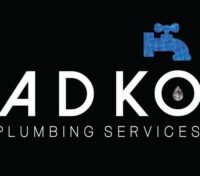 We highly reccomend ADKO Plumbing, we called them in regards to our hot water system. we had a prompt and reliable service. we were serviced by Josh and he kept us well informed with what was happening and he did an exceptional job. we would never hesitate to call upon them again. At last I have found a trusty tradie!! Adam, Daniel and all the ADKO team diagnosed and fixed my blocked pipe quickly and efficiently. They were prompt, courteous, involved me in all aspects of the job and answered my questions honestly. Thank you team for your hard work and dedication on what proved to be a challenging job. I could not be happier. Very happy with the service, advice and upfront quote by Daniel and the team. Daniel was always available to take queries and Mo and Zach got the work done with minimal interruptions and were curtious and friendly. would highly recommend the team. Excellent job done on very challenging old house and plumbing. Boys kept their good humour despite the cold and challenges. Very good trouble shooters. Value for money. Thanks for the work completed.. punctual and friendly.. I am so happy with the amazing service I received from ADKO Plumbing. They were responsive, friendly and efficient. The problem was identified quickly and the job was completed professionally with no problems from start to finish. The costs were made clear and upfront and I was very happy with the results. Thank you Daniel, Adam and the ADKO team for your wonderful work. I recently had ADKO Plumbing Services come out to carry out some plumbing work at my property. Daniel and his team were prompt to arrange to come out and investigate my hot water heater problem. Daniel's team were punctual, professional clean and polite. At my property the following day, and the problem fixed within the hour of them arriving. I was extremely happy with the service, and his price couldn't be beaten! Highly recommended! Keep up the good work boys! Very good service and just before Christmas ,Great blokes. Super service! Friendly, professional and clean. Definitely recommend! Thank you for all the awesome work you guys do at our cafe! We have had several plumbing issues in the past few months and ADKO is always here ASAP to fix the problem! Reliable, prompt and great pricing! Thanks again guys! I recently had ADKO Plumbing Services carry out some plumbing work at my flower shop. Daniel was prompt with a quote; his tradies punctual, professional and polite... and to top it all off - they left my premises clean and ready for trade again. I was extremely pleased with the service provided and would highly recommend Adam and Daniel's business. All the best and I will definitely call ADKO again for any future work. Reliable, effective and efficient. Honest pricing and lovely customer service. 10/10 for the lads at ADKO. We have used the guys from ADKO on a couple of different occasions at our residence in Peakhurst.The guys provided plumbing services for our new granny flat and provided exceptional advice.We then used ADKO to install the drainage and also the redirection of our sewerage for our new in ground pool. Winter is coming! Check your hot water heater! People always ask me what ADKO stands for, so I’m writing this blog to tell you what it abbreviates & to also give you a brief understanding as to why its so important me. ADKO stands for Adam & Daniel Kepreotes Operations & the reason its so special to me is because being able to make a dream come true, something you visualised that has now become reality, is something that people strive for in their lives, and being able to achieve that with someone so close to you by is such an amazing experience! My brother & myself always had a close relationship & a passion for very similar things in life. This carried forward into our desire to build a plumbing company together that focused on creating a safe, healthy & family like environment for our workers & providing a trustworthy, reliable, memorable & affordable service for our customers. Together we have a vision to grow our company, expand our clientele base & build a legacy that we can be proud to call our own. We believe in giving all our clients an upfront honest price with no hidden nasty surprises. When you choose ADKO Plumbing Penshurst, we’ll tell you the price before we begin, so you know what to expect. We offer a 15% Seniors discount to the locals of Penshurst. If you have any plumbing issues, feel free to give us a call 24 hours a day, 7 days a week. Customer satisfaction is our number one priority at ADKO Plumbing Penshurst. Whether you have a minor tap leak or blocked drain, to a full plumbing emergency. Our friendly plumbers will be there to help you every step of the way. Don’t hesitate to call us on 0450 451 533 for a free consultation or quote. ADKO Plumbers offers a wide range of payment options. You can pay via Visa, Mastercard or American Express. As well as EFT Transfer or Cash. We will find a payment solution that suits you. When you choose ADKO Plumbing, you're choosing a company that is honest and reliable with upfront pricing and $0 Call out fee*. Being a small business, we pride ourselves on customer satisfaction and excellent customer service. We always have emergency plumbers with fully stocked vehicles in Sydney, so you know we won't be far away when you call! Copyright © ADKO Plumbing 2019. All rights reserved.